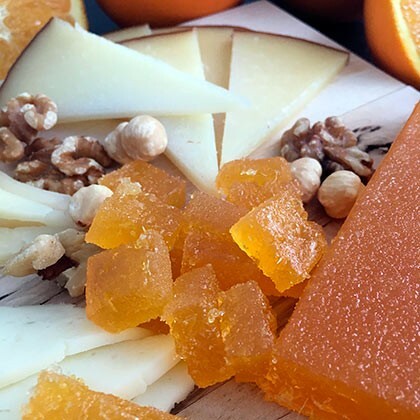 This natural sweet jellied orange is homemade with oranges from our farm L’Hort de Muntanya, collected in their ideal moment of ripeness. Perfect to enjoy it as an appetizer combined with nuts, liver and cheese. Ingredients: oranges from l’Hort de Muntanya, sugar glucose syrup, natural apple pectin and citric acid. Contains 150g. of freshly picked oranges. 50g per every 100g. *Can contain traces of gluten, milk, egg, nuts and sesame.